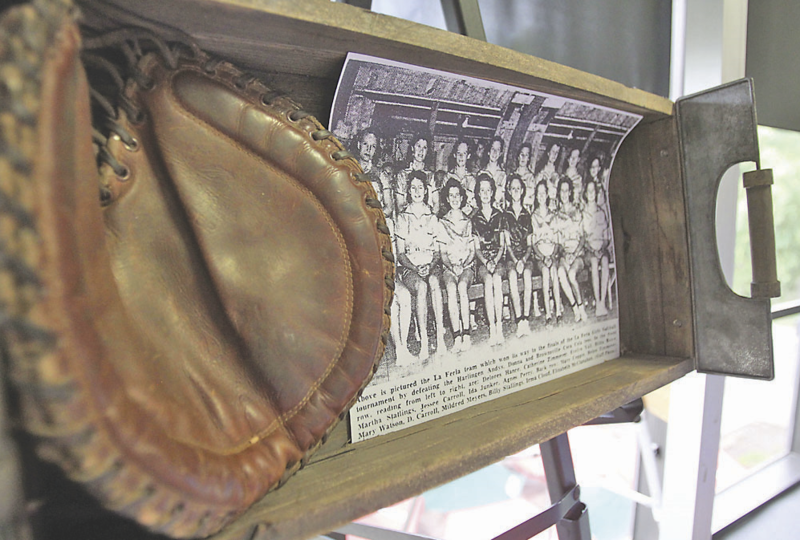 EDINBURG — A new exhibit can give Rio Grande Valley residents a chance to interact with the history of sports in communities across the country and in their own backyard. 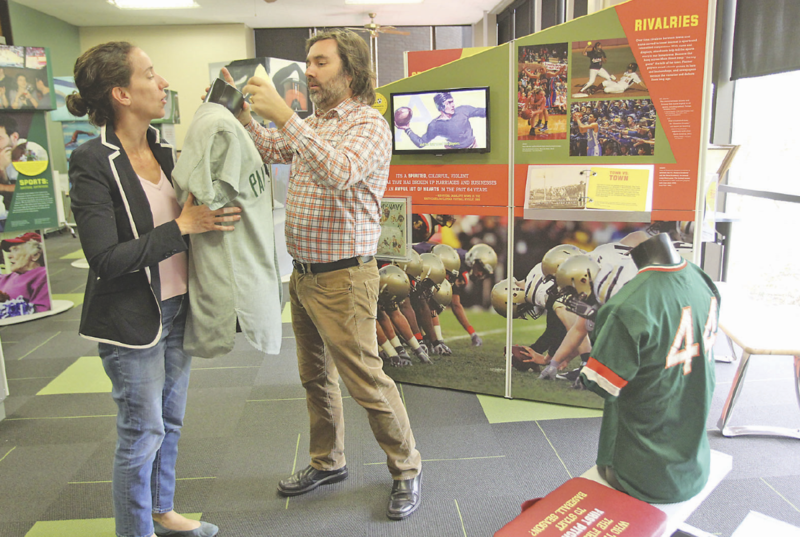 In conjunction with the Texas State Historical Association, the University of Texas Rio Grande Valley is hosting “Hometown Teams: How Sports Shape America” at its library now through Aug. 25. The traveling exhibit is a part of the Smithsonian’s Museum on Main Street series. UTRGV’s presentation goes beyond the primary physical exhibit on the library’s second floor. 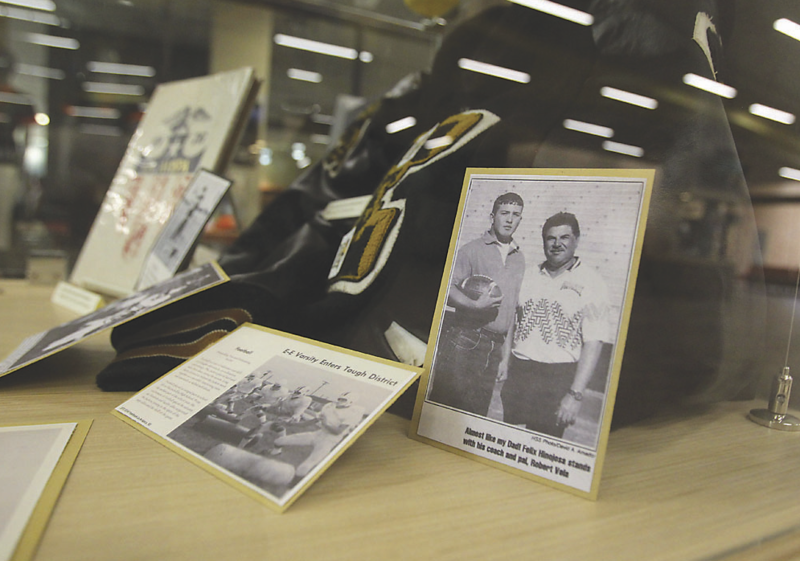 The first floor includes a local companion exhibition called “Hometown Teams: Football in the Upper Valley,” in which the McAllen, Edinburg and Mission school districts and others donated some of their football relics from then and now. Another exhibition called “Rio Grande Valley Hometown Teams” is a digital-only showcase in which visitors can browse the Valley’s past championship glories, read profiles on outstanding athletes and hear oral histories of teams from the people who played on, coached or covered them. The online exhibit can be found at hometownteamsrgv.omeka.net. The exhibit had a soft opening Monday and will officially ring in the multi-platform presentation today. The UTRGV Library will throw the exhibit’s opening reception at 6 p.m. tonight, featuring talks from former Brownsville High baseball player and local baseball historian Rene Torres and UTRGV journalism professor Greg Selber. Selber has covered the Rio Grande Valley’s ever-changing sports landscape for decades. He also wrote “Border Ball: The History of High School Football in the Rio Grande Valley,” among other books. “I think I have a decent timeline of things that happened in sports in the Valley, but what I’ll touch on is the universal significance of sport in general,” Selber said. “Competition, instincts, aggression, excellence — these are the things that are taught in sports. There hasn’t been a football state champion in a long time, but people here seriously care about football. The games are phenomenally competitive. The fans are rabid. Places like Elsa or Rio Grande City will empty the town and fill up the football stadium on a Friday night. WHEN: Monday– Thursday: 8 a.m. – 8 p.m.; Friday: 8 a.m. – 5 p.m.; Saturday: 9 a.m. – 5 p.m.; Sunday: noon – 8 p.m. through Aug. 25. WHERE: UTRGV Library, 1201 W University Dr., Edinburg. For more information, call (956) 665-2726.